Small concrete mixer machine, with a good quality mixing, high efficiency, low energy consumption, low noise, simple operation, easy maintenance etc. advantages. Applicable to dry hard, lightweight aggregate concrete and a variety of mortar, mortar mixing. Our products have been sold in many countries such as India, Thailand, Australia, Russia, USA. Concrete mixer machine price has been unanimously approved by the customer. China small concrete mixer machine characteristics are: light weight (10Kg or so), small size, effort, multi-functional, easy to carry, strong adaptability. In our country are hot selling products. Products are highly praised by our clients. 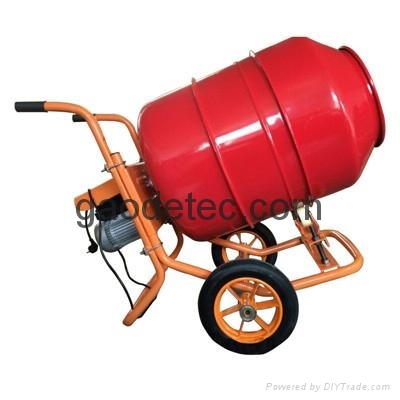 Small concrete mixer machine price is low but the quality is high.